There's no dust -- it's been blown away... Great gusts of wind pick up tiny grains of sand and slash you with them, in your face, on your legs and chest: it hurts like you're pushing your way through thorny bushes of raspberries or blackberries. And meanwhile there I am, walking round the town, Homel, amazed by the wind: where has it come from today, this wind -- biting, strong, insistent, nasty... Why has it suddenly got up, blowing the sand from Ukraine into Belarus and from Belarus towards Moscow? That was the day terror came to hang over Homel, over Palessie, over the whole Earth, and I could sense it, without knowing what had happened or where, not even suspecting that something had happened somewhere. But where to run to and why? I kept on trying to calm myself. Stop being such a fool and open your eyes: it's still sunny outside, even though it's windy and evening is coming on, and your wife is getting ready to go to work, she's on duty -- it's Saturday evening. I'm a journalist writing for the rural affairs section of the regional paper; yesterday I got back from a trip to the district around Vetka. I've got to write some drivel for the next issue about the "sowing campaign", about how a spring day feeds the year... But I don't feel like writing, and I keep on putting off the moment of actually sitting down at my desk in front of a blank piece of paper. "OK, I'm off", says my wife. "I'll go with you to the bus stop..." -- this is me clinging on to the possibility of not writing drivel, the possibility of postponing the moment when I have to begin the "creative process". Later on almost all my friends told me they had had just the same horrific night: each one of them believed that their insomnia had been unique to them and so sought the cause only within themselves. The next day, Sunday, in Homel was again dry, the wind blew hot and strong. In places the ground was bare and hard like asphalt; all the sand had been blown away from the town. In the afternoon at around four o'clock my wife and I went out for our usual walk. The ground was crying out for rain, but no rain came, even though, high up in the sky, heavy grey clouds were continually passing over. There was a kind of tension hanging in the air, in the rustling of the trees, in everything. The tension was like a taut bowstring, you could physically feel it. Just like the moments immediately before a thunderstorm when there's about to be a cloudburst, but no cloud ever bursts. So we cut short our usual route and went back home unusually tired and depressed. ... Right then I knew nothing... Yet it was at that time, even at those very moments (it was about five o'clock, and more like evening than afternoon) on 27 April, that my mum and dad, together with friends from the same village were on their way back home from a trip to Kiev. The shortest route to Khoiniki lay through the town of Prypyats, where the people who work at the Chernobyl power station live. They had been through the town early on the day before, but this time they weren't allowed to go back that way. There was an endless line of buses and cars snaking out of Prypyats, while the only traffic going towards the town was a river of armoured personnel carriers and covered military lorries with soldiers inside. Sitting in their bus they didn't know what had happened either. The bus was stopped by soldiers with gas masks hanging to one side wearing startlingly white masks on their faces, like the ones doctors wear. Without a word of explanation they directed the bus further and further to the left towards Mazyr rather than Khoiniki. Somehow the word "evacuation" worked its way into the bus, not a word that comes easily to speakers of the Palessie dialect, but one with a meaning that people well remember from the war. And the people on the bus were mostly children of the last war; in the 1940s they had been between five and ten years of age. So, alongside "evacuation", another much more frightening word rose up and stuck in their minds -- "War". What war? Who are we at war with and why? Have the Americans attacked us? Maybe it's the Germans again? Why are the soldiers here and not on the frontier near Brest? And how are we going to get home through these columns of buses and cars and lines of soldiers? Let's get home, back to Belarus -- that's where our children and grandchildren are. We must get home, as soon as we can! It was frightening to look through the windows of their bus at the faces of the people in the buses coming in the other direction streaming out of Prypyats -- not a single smile. How could there be? Their faces were stunned, wooden, eyes wide open with the suddenness of it all, with the violence of being made to leave, with not understanding what was going on or why they were being driven off somewhere. They started getting out of the bus in the early light of dawn to gaze in wonder at this unusual "natural phenomenon". So they gazed and it didn't occur to any of them that a disaster had occurred, so strong was their faith in the "peaceful atom". Then they drove through Ianau, peacefully sleeping with only the yellow traffic lights blinking, and headed for Kiev. They spent the night in a hotel, bought loads of tasty things to eat and presents to take home -- the kind of sausage that they hadn't seen for a long time at 2 roubles 20 a kilo (the state kept Kiev a lot better supplied with food than Homel or even Minsk) -- and chatting happily they excitedly set off home. As always, the editor starts off with a joke. I now recall that there was nothing in his voice to show that he knew anything, although there is no way he could not have known. Then he gets more serious, he says we've got a busy week ahead, the May Day celebration is coming up, we have to get a team together to cover it and make a list of who's going to be on duty in the print room and who's going to write the "carcass" for the holiday and about the holiday itself. The "carcass" is the backbone of a report of the May Day celebrations in Homel and the rest of the region. It is always written in advance; this was the practice in all newspapers back in the days of the USSR, from the lowliest local rag right up to Pravda. 29 April passed by in routine activities and preparations for the May Day celebration, and on the next day the Moscow Pravda reported in a tiny note that an accident had apparently occurred in one of the Chernobyl power station's reactors. It went on: "at the present time the radiation levels in the power station and the surrounding area have stabilised, the injured are being treated". And it gets even better: "The people living in the power station housing estate and three nearby villages have been evacuated". "The power station housing estate" means the town of Prypyats, where there were about 45 000 people living at the time... That's how clever they were at "doling out" important information, "reducing" tension and putting an end to nervous rumours. Anyway, what would be the point of upsetting the nation on the eve of the greatest holiday in the calendar. And what do 45 000 people mean in a country of 250 million? On the morning of 1 May, somewhere around ten o'clock, my wife Ludmila and I set off for the village to help my mother-in-law plant potatoes. The sun had been shining since early morning, it was great in the country, warm and by dinner time so hot that I took off my shirt to get a bit of a suntan while digging manure into the furrow. My wife set about making the soup at once, and I switched on the radio. I twiddled the knob to see what I could pick up until I hit upon a Russian-language station that I didn't know. Through the crackle and noise I could make out that it was Radio Sweden. They were broadcasting the news. I can't repeat exactly what I heard, I can only recall the sense of what I remembered -- a terrible accident had occurred at the Chernobyl nuclear power station in Ukraine, a reactor had exploded in the fourth unit. 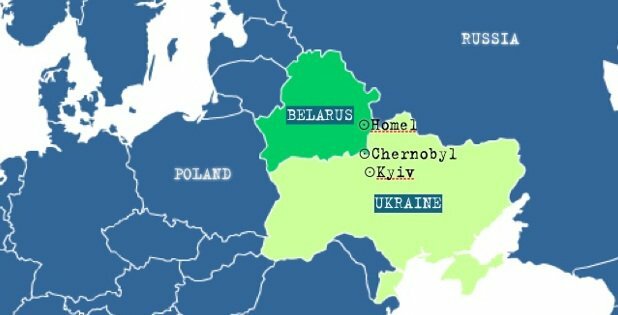 Radiation contamination had spread across Ukraine, Belarus and countries adjacent to the USSR. It had even been registered in Sweden. People in Ukraine and Belarus, and especially in the area around Homel, should go outdoors as little as possible, they should take iodine, and especially avoid food contaminated by radiation, which means not using young vegetables: onions, lettuce, sorrel. Somehow, without fully understanding what was going on myself, I explained to my wife... So it was that this terrible word "radiation" with all its serious implications entered our lives at last. Meanwhile on the TV they were showing happy people with flowers and balloons in the May Day parade... Smiling, they waved their hands at the camera: we're being filmed... In Moscow, Kiev, Minsk, Homel, Khoiniki, Brahin and Naroulya... "Long live the First of May -- the Festival of all progressive peoples!" "Long live the Soviet press -- the most truthful press in the world!" But I was not the only one to feel fear deep inside myself... Others must have been listening to Radio Sweden as well. The information could not be kept hidden from the whole world behind the "Iron Curtain". Chernobyl is not Chelyabinsk, it's Europe; it's a known fact that radiation is no respecter of international frontiers... It was, however, impossible to ask anyone what had happened. At the time -- I do remember this and I'll say it again -- I really did believe, with no reservations at all, the information the Swedes had broadcast, especially because they said on the radio that even the pastures of the northern reindeer had been contaminated by radiation. The reindeer themselves were contaminated; they were slaughtered and the meat was thrown away... The thought occurred to me at once: how far away from Sweden is Chernobyl, and where are we in comparison? If they are so frightened, what should we be? Scientists say that the amount of caesium in our soil will have been reduced by only 1 per cent after 200 years... And as for strontium-90, americium-241 and plutonium... The half-life of plutonium-239, for example, is 24 390 years... Virtually the whole of the radioactive end of Mendeleev's periodic table fell on Belarus. On my way back to my flat I peered in at the box where the letters are left and picked up the newspapers. It was only now that I remembered about them. What could I expect: after all five days had passed since the accident. There was nothing to read in them, apart from reports of successes published in advance of the May Day celebration. Only in Sovetskaia Belorussiia was there a report "From the Council of Ministers of the USSR", which began in the usual Jesuitical way "As has already been reported in the press (where? when? 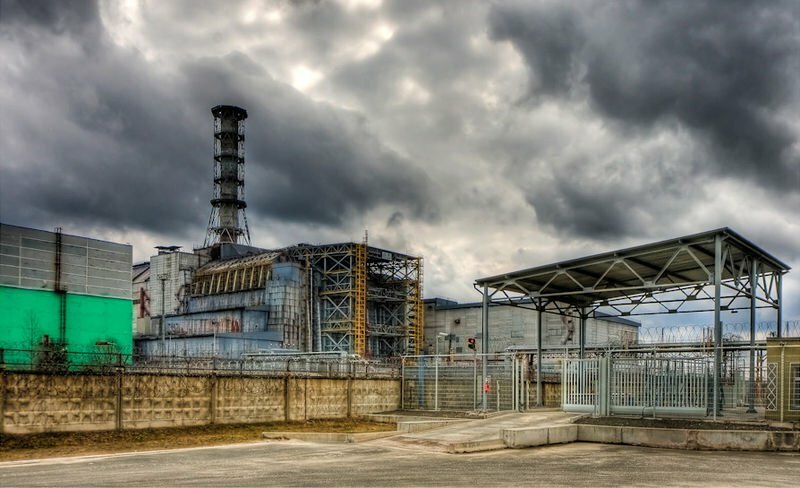 just one little note in Pravda) there has been an accident at the Chernobyl power station (just "power station") situated 130km to the north of Kiev. A government commission of inquiry is now working on the spot... According to preliminary findings the accident occurred in one of the rooms (!) of the fourth block; it resulted in the destruction of the building constructions (!) of the building (!) housing the reactor. The reactor was damaged and there was some (!) leakage of radioactive material..." The report continues: "As a result of measures taken over the past few days the escape of radioactive materials has been reduced and there has been a drop in radiation levels within the nuclear power plant and the nearby housing estate". This then followed, to calm the Belarusians' fears completely: "Some Western agencies are spreading rumours about how thousands of people are supposed to have died in the accident at the nuclear power plant. As has already been reported, two people died and only 197 were hospitalised; of these 49 have been discharged from hospital following medical examination. Work in factories and on the land is continuing normally". It was these final words that put readers on their guard more than any others. In Soviet times we had learned to read "between the lines" and to believe the "rumours" that were spread by "Western agencies". I never did manage to get through on the telephone, and that wasn't because the post office was closed; each time I dialled I heard only short beeps, "line busy"... This was another of the authorities' "tricks", to make sure that there was no leakage of information in any direction. How many more are going to be cut down? Scientists say that the amount of caesium in our soil will have been reduced by only 1 per cent after 200 years... And as for strontium-90, americium-241 and plutonium... The half-life of plutonium-239, for example, is 24 390 years... Virtually the whole of the radioactive end of Mendeleev's periodic table fell on Belarus. Even now hundreds of thousands of people live, work and grow "clean food" on contaminated land. They have been stripped of all their concessions and benefits. Going away for recuperation and convalescence is beyond the pockets of most of them... So Chernobyl goes on exacting tribute payments, thanks to the indifference and the complete lack of principles of officialdom. But now let's go back again to 1986. On the Friday before the Easter weekend and even more on the Saturday, my mother would cook all the special dishes for the next few days. The evacuees kept repeating like a refrain just how much they wanted to go back home, how good the life was there, the cottage and private bit of land that they had looked after so carefully was there, all the things that they had worked for all their lives. They did not doubt for a moment that the evacuation was only temporary. They could not yet allow themselves the thought that they would never see their home and hearth again. They did not want to think about it. Indeed how could they have entertained such thoughts, everything happened much too fast for that. Only yesterday they had been getting ready for the Easter festival, when a whole load of officials and soldiers arrived in the village. They went in twos and threes round all the cottages. "You won't be able to live here for a bit", they said and gave them an hour to collect a few things. Not all the villagers managed in time, they were so shocked by the suddenness of it all, even though they had seen the equipment and the thousands of troops that had arrived in the last few days, and had begun to suspect that things would not end well. The domestic animals, cows and pigs, were herded together onto vehicles. Two hours later the villagers were already seated in the buses holding little bundles in their hands with a change of underwear, papers, money. And that was all. The soldiers thoroughly searched even that... It was these thorough searches that made people think that things were not as simple as the authorities would like them to seem. But what are simple folk supposed to do? The evacuees spent a week in our cottage, they got on well with my parents, and then they were loaded onto buses again and taken off somewhere. Obviously they weren't taken home... Some people said that they been taken to the Zhlobin district. Nobody ever saw them again. By the time the authorities started on enlarging the exclusion zone and moving people out of ever wider circles away from the reactor, it became clear that the evacuation was not temporary but permanent. People started to ask to be resettled as a whole village or at least as a street in a new place of settlement. They did not wish to be separated and scattered among several families. The authorities did not listen. They "resettled", or rather scattered people from 415 villages in the "zone" among thousands of villages and towns across Belarus and so dispersed the memories of these people and any memory of their existence... Yet each village is unique in itself, an authentic and inimitable world with its own traditions, legends and linguistic features. Each village has its own names for places in the locality, for distinctive natural features, streams, headwaters and fields... After twenty four years no one has got around to collecting the heritage of Chernobyl or to setting up an all-Belarusian museum of the villages that have perished and been lost. The most straightforward decision possible was taken in regard to the radioactive clouds: make them "land" beyond Homel on the areas around Vetka, Chachersk and on part of the territory around Bryansk in Russia, the districts of Krasnogorsk and Novozybkovo. As a result radiation contaminated the banks of the three great Belarusian rivers: Prypyats, Dniapro and Sozh... I should add here that geographically the ash from Chernobyl fell on Ukraine, Belarus and Russia, but ethnically it fell almost exclusively on Belarusians. The Chernigov territories around Chernobyl in Ukraine, and the area around Bryansk were settled mainly by Belarusians. Now I look back on the last days of April and the first days of May that year I realise what it was that saved the Party and the government from violence and panic: the fact that people did not know anything about the disaster and that there was a whole series of celebrations and special events -- first there was May Day (1-2 May), then Orthodox Easter Sunday (4 May), followed by less significant occasions but which were nonetheless important in the USSR: Print Workers' Day (5 May), Radio Workers' Day (7 May), then Victory Day (9 May) and Radaunitsa (a springtime version of All Souls' Day -- 13 May)... In the two weeks that fate gave Gorbachev and his team, they somehow managed to get the situation just about under control... At least the threat of a second explosion had been lifted, thanks to the bravery of the soldiers, who succeeded in putting out the fire and building the sarcophagus around the damaged reactor. I could not get off work until after 9 May to make a trip back home to my parents. By that time my sisters had already left, and besides I had to write something about the heroism of the people who had been affected by the Chernobyl disaster... There was heroism and acts of bravery aplenty, but just how necessary had they been? Did these "heroes" fully understand the real cost of their "acts of bravery", and why they acted in the way they did? They probably did not. It is certain that the authorities were saved from a likely rebellion by the fact that, as usual, the people were uninformed. No one gave a thought at the time to what radioactive iodine was, or to the "hot particles" that were the most dangerous things in the first few days after the accident, or to the way they could get inside you through food as well as through dust and air... Something else that "helped" was fear of the authorities, a fear even greater than that of radiation, a fear that resided deep inside the Soviet people, who had borne the yoke of collectivisation and Stalin's repression. I well remember those days, even though I see them through some sort of haze... I remember the first rain that came to Homel a few weeks after the accident. There hadn't been any before that. People were saying that special planes were being used to disperse the clouds and to sprinkle them with some kind of nasty stuff, reagents of some kind, to stop radioactive rain falling on the ground... Then, after the first heavy post-Chernobyl rain there were yellow and orange rings around the edges of puddles that people for some reason had not noticed before. There was a simple explanation, some people said: it's the pollen from gardens in blossom, or from chestnut tress or some other plant... But why had there not been anything like it before? Why did no one remember these things from the times before Chernobyl, and why were they there now? At least, no one had noticed them earlier... The orange colour was no coincidence, apparently -- orange is the generally recognised colour of radiation, the colour of danger, it's the way nature warns people. I too was in quite a state, like I had been smoking weed, everything was dissolving before my eyes in a kind of drug-induced haze, or mist, or dream. It was only later, maybe not until now, that I can explain my state as due to the effect of radiation. But I had been there for only a few hours, whereas the collective farm chairman had been living there right since the accident... We were sitting in his office. He showed me some apparatus for measuring the radiation level that the soldiers had left him. It was a sort of large suitcase with an indicator that looked like a golf club and little windows with pointers dancing behind the glass. How do I use it? I couldn't tell whether he was asking me or asking himself. What does this thing show, and he pointed at the dials, do I multiply these numbers by a thousand or by ten thousand, and how do I find out what the real situation is? Rumours were already going round then that all this equipment had been fixed so as "not to frighten people". Last year, I lost all connection with the place where I was born. My mum and dad both died in the same year. All I can do now is spend time at their graveside... That may be the reason for my venturing to write these lines about the month after Chernobyl. I didn't write anything at the time -- no reports, no articles. In fact I have written practically nothing about Chernobyl until today. I simply couldn't do it. There was also that typical Soviet way of doing things just for show, to pretend that everything is fine and dandy: "people are working and relaxing in the way they always have, the situation is stabilising". Take, for example, the football match between teams from Brahin and Khoiniki that was arranged on the first weekend after the Chernobyl accident and shown on the news on central TV. Where are those footballers now? Where are the spectators who were herded on to the stands? Then there was the evacuation from the contaminated areas close to the "exclusion zone", firstly of pregnant women and women with babies, followed by children of pre-school age, and finally of all schoolchildren. As a result, only men were left behind in the towns and villages, and they had been totally reliant on their wives to feed and wash them... It's a story worth several novels... How did those "temporarily resettled" women and children live in unprepared, unheated rest homes and pioneer camps (where the women compared the conditions to those of concentration camps) all across Belarus, cold, hungry, sick, stressed... What about how no one in the so-called "clean" zones would go near them, how they would be called "Chernobyl hedgehogs" and shunned... Who is going describe all this and when? We haven't died yet, judging by all the evidence. However, judging by our total lack of concern, we may well still be alive, but without giving a single thought to the future. To put it more precisely: it's been a long time since we were really alive, now we simply exist... There's no other explanation. It was difficult for me to write this text. I've been working up to it for over twenty years. More than once I have started to write but given up after the first few lines. Indeed, the hesitation and uncertainty that run through the make me despair about whether it is worth publishing at all. Just as nothing appeared to be happening at the time in Belarus, so nothing happens in this text either. Just as there was no clear understanding of the tragedy then, so there is none now in the text. And then what? The whole of humanity?